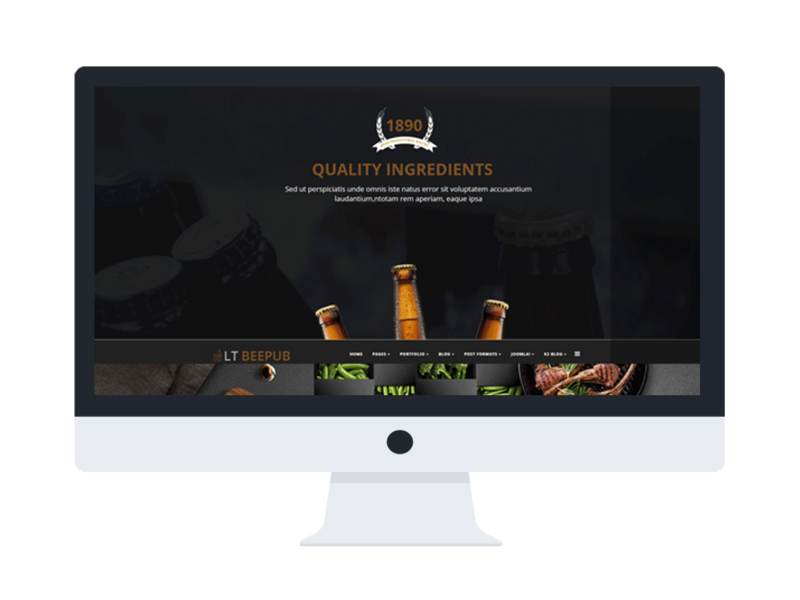 LT BeePub Onepage is single page version of LT BeePub Joomla template. It has everything you need to showcase your best bistro. 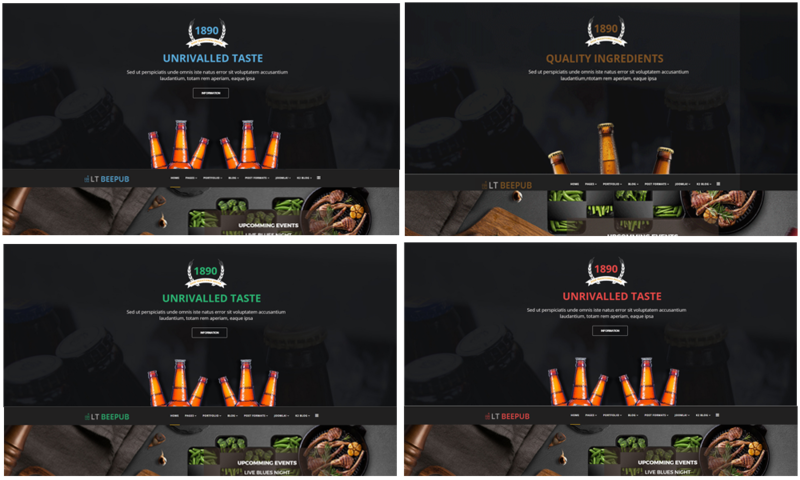 Bringing out the best in those beers by showcasing them in your bistro website which can be tricky. 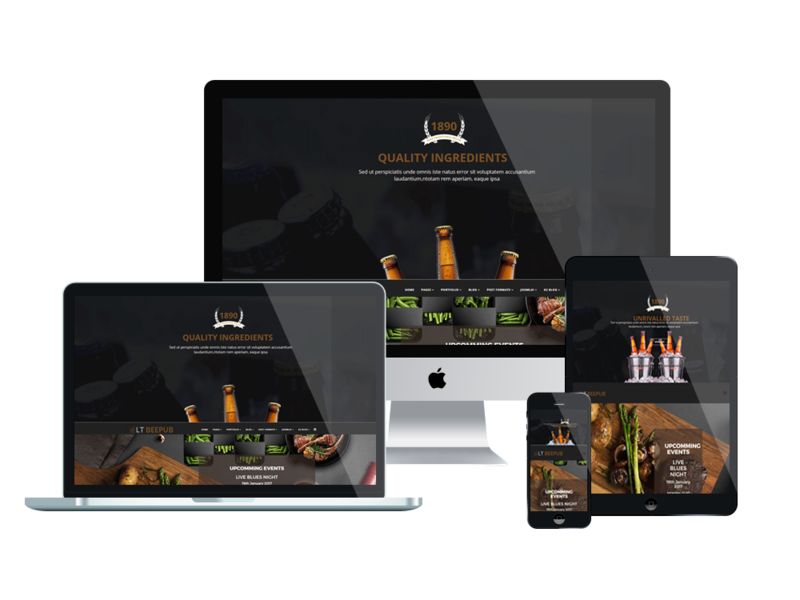 But more importantly, Bistro Joomla Template is equipped with features that will allow your members and visitors to engage in your booking a table online. The blog would be perfect for regular content while the gallery is a great place to show off your best beer. The template comes with high-quality stock photos that will look great in any bistro website. 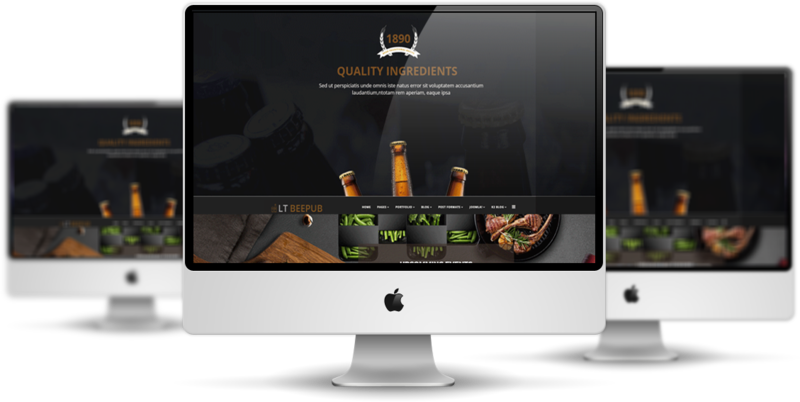 LT BeePub Onepage builds with the fully responsive layout, so template has a great layout in mobile devices. The template framework comes with Page Builder for layout, Shortcode for presenting content easily, Support Font Awesome, Compress files and so on. Also, it also supports 4 color styles and working with strong framework, unlimited module positions and easy to drag-drop layout content. Couple that with the HTML plus JS animations running under a 3.6.5 Joomla Engine and it is sure that you can get a site with a very engaging design.